I’m sitting in a leadership team meeting listening as team members engage in conversation regarding student data. District wide, we are monitoring student progress in two significant areas, reading and writing. The data shows growth within the district, however, our students continue to perform low comparative to the norm. The question is posed, “Why would some teachers implement a strategy and others not?” I took a moment to reflect. My summation, stereotype threats are real and it is with these threats that our students unknowingly fall victim to their current circumstances. Stereotype threat refers to an individual being at risk of confirming a negative stereotype about their group (Steele & Aronson,1995). We’ve encountered many stereotype threats in our day. Threats like, boys are stronger in math than girls, Asians are stronger in math than whites, blacks are better athletes than whites; all are examples of stereotypes that threaten the success of the individuals that identify with these particular groups. I couldn’t help but stop and think about this in the context of our current conversation. According to our district’s state report card, approximately 66% of the district is identified as minority, 49% are Hispanic students, 17% Black. Of equal importance, 98% of the district is economically disadvantaged (2015-2016 Ohio Department of Education Report Card, retrieved November 24, 2016). Stereotype threats are looming throughout the local community. We hear some of them from parents during conferences and sadly even within the halls of the schools. In a district where language is a constant barrier and education lacking, at best, our students unconsciously inherit the limitations that have stunted the success of their parents. This is important to know because it speaks not only to the level of confidence our students come to us with, but also the level of efficacy we as teachers have to address these threats. It’s a fact that our students are faced with challenges. Our perception of what it must be like to live in poverty is our students’ sad reality. But, are their circumstances truly indicative of their ability to be successful students? What is our role in ensuring that our students do not fall victim to their unwelcome circumstances? As educators, it is my opinion that we first look at poverty differently. It is not a disability, it’s an obstacle. It’s a mindset that exists because the people in and around our students lives have yet to figure out how to change their circumstances or are unaware of the resources available to assist in changing them. Once we ourselves believe that our students circumstances are systemic rather than defining in nature, we need to be purposeful and intentional about working to change their mindset. Their mindset has been fixed on stereotype threats for much of their schooling already. I imagine it is difficult for them to think of anything different. Many of our students that are struggling readers come to us already years behind their peers. Place on top of that, being a non-English speaker. Some of our parents didn’t finish high school or get past the 8th grade for that matter. Think about the conversation happening in these homes. The fears and failures of the parents are now threats that hinder our students growth and progress. But it doesn’t have to. 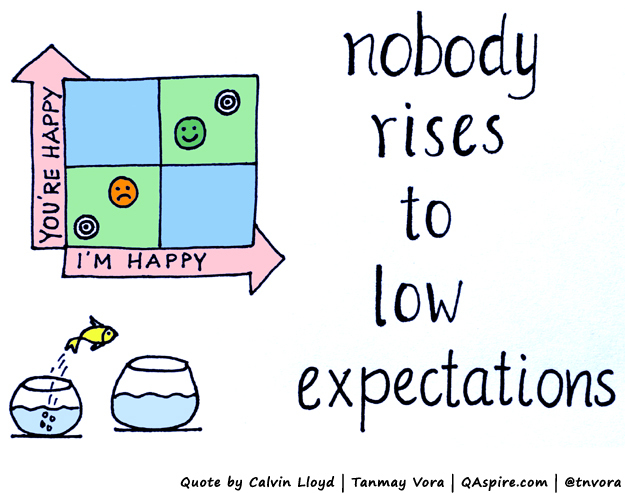 It is imperative that we raise our expectations. I understand that as educators, we don’t want to see our students fail. Their failures do become our own. However, we have to refrain from lowering expectations to meet our own needs. This is not about us. Our job is to provide all students with a quality education. That means we need to empower them. We need to continue raising our expectations and providing instruction that will challenge students thinking. We have to realize that when we show our students how much we believe in them, they will begin to not only believe in themselves, but, they will perform. So, raise the bar! As we begin to break down the threat barriers that are hindering our students, they will begin to reach for the bar where it has been set for them. Continuing to limit the growth of our students by succumbing to the belief that they cannot perform at the same rate or level as their peers is so damaging. And think about it, if we cannot ourselves break away from the stereotype threats, then who are the real victims of circumstance? We should know and do better. Ohio Department of Education (2016). Annual District Report Card, 2015-2016. Reducing Stereotype Threats. Stereotype Threats. Retrieved from ReducingStereotypeThreats.org on November 24, 2016. Steele, C. M., & Aronson, J. (1995). 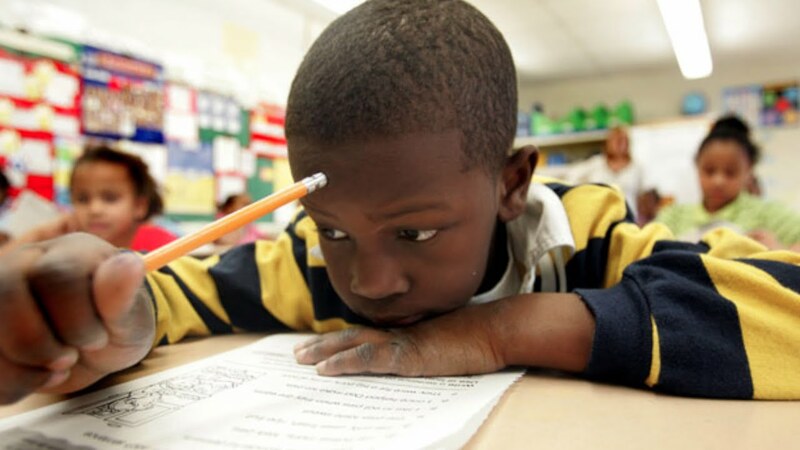 Stereotype threat and the intellectual test performance of African-Americans. Journal of Personality and Social Psychology, 69, 797-811. Tyler, K. & Tyler, C. (2009). Stereotype Threat. Classroom Learning. Retrieved from Education.com, November 24, 2016. The issue of diversity has been raised in many different venues and circumstances. It is certainly no surprise that it be raised as an issue in school districts across the country as is the particular case in the district in which I teach. As discussions ensue regarding how our schools promote the diversity that is prevalent within the district, for me, this drew attention to how the diversity of my fellow colleagues is promoted as well. It’s been weighing on me heavily for some months. How can one possibly expect teachers to promote the diversity of the children and families for which we serve when they don’t promote the diversity among the colleagues they work with each and every day? I am writing to express my growing concern over a topic the district has identified as an increasing need in our school community. I’d like to be clear that this is not an attempt to berate or rant about my colleagues, school, or the district; only to share feelings I’ve been harboring as they relate to the topic of “promoting diversity”. This issue of “promoting diversity” has been weighing on me for the last couple of months. At our last all day district leadership team meeting, I walked in and was halted at the door. I can’t explain why I was struck so suddenly on that particular day, but I was. I simply stood there looking around, noticing for what seemed to be the first time, that I was the only minority in the room. This issue has been weighing on me for some time since. As discussions regarding “promoting diversity” ensue and after a great deal of reflection, I feel it is important to share my personal concerns. I’ve considered voicing my opinion on several occasions but have chosen only to listen instead because I am only one voice. I’ve kept my opinion stifled as I didn’t want my concern to be misinterpreted as anger or to come across as an agitator. However, after leaving this last meeting, I’m compelled to share because I guess sometimes, one voice can speak loudly. Over the last couple of years, I have become more and more troubled behind issues of diversity. In our current attempt to “promote [the] diversity” of our students, we seem to struggle in the same area as colleagues. Having grown up being the “only one”, I know what it feels like to be a target, to be left out, to be ignored, and as a result, I admit, I am very guarded about my feelings and my opinions. I’d like to think that because of my experiences, I am more attentive to the cultural perspectives of others and am diligent about creating a positive, culturally sensitive atmosphere in my classroom and in my school community. Contrary to my efforts, however, I have been perceived as “mean”, “intimidating”, “inattentive”, and even “unsupportive”, when really I am only misunderstood. I imagine many of our students harbor many of the same feelings. I believe these misconceptions are a direct result of cultural biases and misunderstandings that could have been avoided by simply taking a moment to sit and speak with me as a person. It is how I approach each and everyone of my students and it is why I am able to develop such strong relationships with them. In this same manner, I believe the staff in this district have an opportunity to grow and learn from the diverse experiences of others. I agree that there is a strong need to “promote diversity” in this district. Having been (and still am) misunderstood and misinterpreted, I think it is imperative to have teachers who are new to the district exposed to cultural sensitivity/diversity training upon being hired. I also think re-instituting the “Courageous Conversations” book study, or something bearing similarity, is not only a great consideration, but a necessary element for helping teachers understand not only our students, but each other. The implications of such work could have a long lasting effect on our district by displacing the “eggshells” many of us attempt to avoid on a daily basis and, in turn, strengthening staff morale. I further believe that there is a great need for minority leadership representation, whether it be in an administrative role or as teacher leaders. In a district that is predominant in minority population, it seems only appropriate, in my opinion, that there be a more visible minority presence in leadership roles. I thank you for taking a moment to read my concerns and allowing me to have a voice. I am looking forward to seeing the growth and development that lies ahead. While I wasn’t expecting it, to my surprise, I did receive a response rather quickly. Although it wasn’t as heartfelt and compassionate as my letter, my voice has now been heard, and that’s what I really wanted. I was told, in short, that although diversity is more than race and language differences, my concerns were valid and would be noted for future discussion(s). That was the basic extent of it. I must admit I was left feeling…well, obscure and numb. I had to remind myself in that moment…”no expectations”. So, if nothing else, I accomplished my primary goal. In terms of what will happen next, I’m not certain. It is my hope that my personal thoughts will insight conversations beyond that of student needs and include the entire school community. In order to see a change, one has to advocate for change. So, if this letter invokes deeper conversations and induces change, then my task will have been accomplished. For the last few weeks, I’ve been thinking a great deal about the upcoming PARCC. I’m speaking of the Next Generation Assessment known as the Partnership for Assessment of Readiness for College and Careers. If you thought the Ohio Achievement Assessment was bad, then wait until you see THIS! I suggest, if you haven’t yet taken a look at this new online assessment, you should…and soon! Although they only recently captured national attention, the Common Core standards – which lay out what students should know and be able to do by each grade – have been in the works since at least 2008. It all started with former Arizona Gov. Janet Napolitano, who was the 2006-07 chair of the National Governors Association and now leads the University of California system. During her stint as governor, Napolitano desired to develop an initiative focused on strengthening the country’s competitive position in the global economy. As students’ performance in math and the sciences have become comparatively lower than their global peers, the goal of this new initiative was “to give governors the tools they need[ed] to improve math and science education, better align post-secondary education systems with state economies, and develop regional innovation strategies” (retrieved from http://www.nga.org on December 4,2014). Therein, a task force of governors, CEOs, and university presidents was created. Think about that for just a moment. Does that elicit any emotions for you as it did for me? I remember hearing that the Common Core was essentially birthed from the No Child Left Behind (NCLB) Act of 2001 in that the standards were developed to hone in on the skills students needed to know and be able to do by the end of each grade level. The standards were thick with specific skills all students were to master only, with NCLB, this varied from state to state as state leaders played more of a role in the development of their own standards. Unfortunately, the level of expectation varied significantly as well from state to state. States, like Massachusetts, were known for holding very high academic standards, while other states, like Tennessee, did not (Bidwell, US News, 2014), making it more difficult to comparatively determine whether scholars were making adequate growth compared to their global counterparts. The Common Core differs in that the numbers of standards have been decreased for each grade level and the depth of each of those standards increased. That’s my subtle way of saying that the standards push our scholars harder to learn skills they are fundamentally and developmentally not yet prepared to learn, whether they are ready or not! Don’t get me wrong, I do see this as an incomprehensible issue. It’s clearly a problem, and yet I was not at all surprised to find that the challenge of developing equitable academic standards has been in existence since the desegregation of public schools in the 1960s. Students of minority ethnicity, lower socioeconomic status, born in poverty from parents struggling to keep a roof over their children’s heads and food on the table, and some of them with nothing more than a middle school education was prevalent then and still exists today. Oh yes! You see, what I’ve just described for you was my current classroom and any educator teaching in an urban school district can relate to that very description. 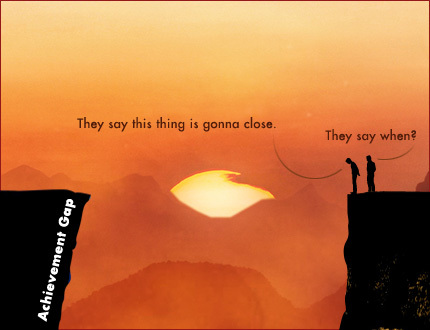 Our scholars have been chasing their peers to close an achievement gap that was created to keep minorities out of public education and distanced far behind their white peers for years! And now, here we are with the Common Core standards, an initiative started to strengthen our competitive position in the global economy when neither our scholars, nor their families, are adequately equipped with the resources or skills to compete in the local economy! Let me be clear, I can appreciate the idea behind the Common Core. I get it. We want to develop critical thinkers, leaders, social changers! But then you add the PARCC to the equation. Oh my goodness! Consider this, the majority of my fifth grade scholars are reading at a fourth grade or below grade level right now. I even have a few reading at a second grade level! SECOND GRADE!! That’s their fluency and comprehension level. Did you catch that? 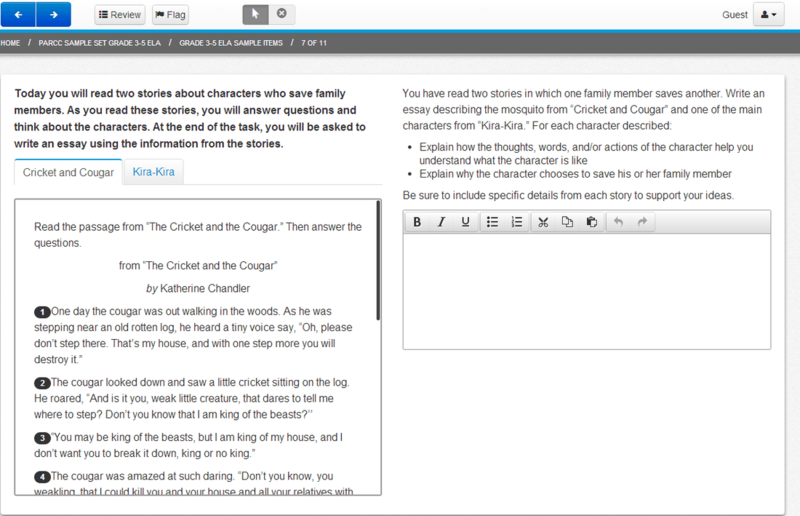 The majority of my class is still behind 1-3 grade levels in reading. They struggle to develop a 5 sentence paragraph with a clear topic sentence and strong conclusion. They’ve been working to develop these skills since the second grade. When they are challenged to push themselves to a higher expectation, they shut down with frustration. Oh, I’m not finished yet. My scholars barely know their basic multiplication facts, even though they’ve been exposed to them two grades prior. Many still struggle with regrouping in subtraction and will argue to the end that 0-4 = 4 even when provided proof that it is impossible! Finally, after losing our technology teachers about four years ago, teachers were tasked to teach not only keyboarding skills, but also researching skills in a computer lab which we were scheduled to use once, maybe twice a week for 30-45 minutes, if we were lucky. There were several times I’d taken my class in to complete assignments and it’d taken the first 20 minutes alone just to get through all the glitches we’d face trying to simply get logged in! Amazing! Well, the computer lab no longer exists after 6 years of existence. The district has begun transitioning to the use of chrome books. I share a cart with a coworker. Yes, share! We make it work. Our scholars are most knowledgeable about how to search for information because that interests them. However, they still lack in the area of research, note taking, and essay typing. It continues to be a struggle for them since it requires more thinking and effort. Not a very good place to be with PARCC right around the corner, wouldn’t you think? If I sound a bit anxious about this Next Generation Assessment, it’s because I am, along with many of my urban school educator friends. It feels a lot like my scholars are being set up to fail! Do you understand that the growth my scholars have made, any growth at all, will absolutely go unnoticed after taking this test! And YES…I take it personally! If they are not functionally or developmentally prepared to meet the Common Core standards then how could they possibly be prepared to take this Next Generation Assessment? Well, I don’t know either, but it kind of sounds like yet another way to keep our minority scholars at the bottom end of the achievement gap. All I know is that we need to get our scholars ready for this PARCC with the limited resources we are provided and hope that just one of them beats the odds, gets across that gap, and comes out on top! With everything we’ve been given, what do you think those odds are?